It was on January 15, 1994 that we lost this immensely talented musician. Ahhhh… what to say about such an intense superstar. Such a tragic story, really, of a gifted artist, musician, bacchanal, father, husband, man, whose angelic voice and thoughtful, witty songwriting managed to capture the musical world in the early 1970’s. From a very young age Harry was forced to find his way on his own. His father abandoned the family early on which led to a confidence, need for harry to do things his own way. Always the gifted lyricist, Harry worked his way into the music industry through his songwriting, writing songs for artists such as the Ronnettes, Little Richard, The Yardbirds, The Monkeys, and Three Dog Night. He was friendly with all of the Beatles, most likely because of their proclamation at a press conference that he was their favorite American artist. This was a huge accolade at the time for Harry who was generally an unknown. Ringo was also a close friend of Harry’s, later becoming the best man at his wedding. 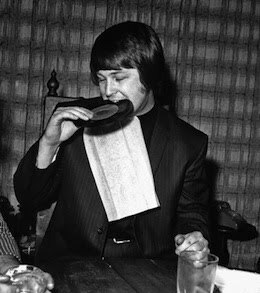 Fortunately, and unfortunately, much of Nilsson’s notoriety stems from a stint in the mid 70’s in which Nilsson hung out and was a drinking buddy of then ex Beatle and recently separated, John Lennon. Fortunately, because Lennon played an important part in Nilsson’s future recording career. 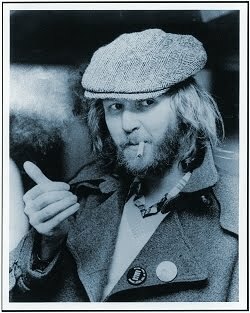 Unfortunately because Nilsson was a much more talented musician to simply be known for his friendship with the Beatles. Now, the part about him being known as an excellent drinking buddy…..much more spot on. And oh yes, did Nilsson like to party. 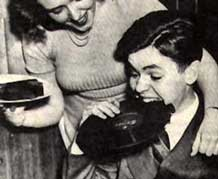 His bacchanalian lifestyle was widely known, especially to his pals in the music industry. Friends of his are known to dread getting ‘the call’ from Harry, who would normally be on a bender of epic proportions, citing that they would need to block off 3 or 4 days of their time if they wanted to be able to party with him. But lets stick to the music. I think it is safe to say that Harry Nilsson has put his stamp on modern rock and roll. The songs that he has written and performed have paved his way into rocks legacy. Songs like “One”, which Three Dog Night took into the top 10 in 1969, Midnight cowboy’s “Everybody’s Talkin”, the calypso-tinged, quasi-musical-drama, “Coconut” (later used in Quentin Tarantino’s Reservoir Dogs), as well as “Jump Into The Fire” (used in Goodfellas). Although he never performed any of them live, they remain classics in the truest sense of the word. He recorded several albums throughout his career with the pinnacle being Nilsson Schmilsson, perhaps one of the best albums of all time. Definitely top 10 for me. What I really love about Harry was his refusal to be grouped into any sort of genre or category. His works constantly push the envelope between rock and pop, folk and country, alternative and world rhythms. Although he stayed closest to both rock and roll and pop music, his allegiance belonged to none. He was The Musical Maverick. It’s evident that Harry did not care what people thought. He wanted sole artistic control and for the most part he got it. The fact that he never played live shows manifests this more than anything. He had no interest in giving the people what they want. Harry simply did what he wanted. Artistic satisfaction reigned supreme, leaving commercial approval in the background. There are only a handful of music greats that you can say that about. Most artists crack under the pressure of fans requests, the pressure to put out a popular album, the pressure to perform and perform well. Throughout musical history these pressures has sent great artists into exile (Brian Wilson), and has driven many to insanity, drug use and death (Jimi Hendrix). The best comparison I can make to this indifferent, hardheaded approach to recording is Bob Dylan, who I believe is still around because of his indifference to his fans wants. This refusal to care what people think, although it took him into some uncharted and odd territory was one of his most appealing characteristics. He was a renegade. A rebel. An individualist of epic proportions. We lost the man simply known as Nilsson. Fortunately for us, music does not die. His warm, quirky, playful, witty, bittersweet music lives on, and will continue to impress myself and the world. Though he endured many hardships and tragedy throughout is life, he maintained a positive outlook. Preach on Harry. As the snow continued to pummel Philadelphia, I slipped out of my local watering hole, shut myself in with a late night pizza, and dropped podcast 16. Enjoy. This day in Rock History…..
…….Kenny Loggins was born in 1948 in Everette, Washington. You’re probably thinking, “What does Kenny Loggins have to do with Caddyshack. Well, I’ll tell you. Kenny Loggins, best known for being half of the duo Loggins and Messina, has given us many great hits over the years. From “Danny’s Song” to “Your Momma Don’t Dance”, and even the solo hit “This Is It”. 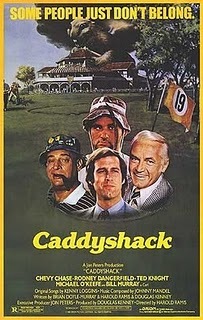 But perhaps his most prolific and immeasurably timeless classic is still “I’m Alright”, the theme from Caddyshack. You really cannot get any better than the end of that movie. And the Loggins-sung soundtrack simply adds to the greatness. I don’t think there is a single Caddyshack fan on this planet that does not think of that hillarious, dancing gopher puppet the minute they hear the song. The moment will live in infamy.